Hockey season in Johnstown is approaching quickly. Sure, the regular season doesn't start until September 13th (away at Keystone) but roster hopefuls will be in Johnstown this weekend when the Tomahawks hold their main camp at Planet Ice. The roster once again will have a few familiar faces returning from last season, but there will also be new players hoping to win a chance to earn a spot on the team's 2014-2015 roster. This will also be the first season lead by new head coach, Mike Letizia. The Tomahawks will be missing seven players from last years roster who have aged out of the junior hockey level of play. Okicki, Bentzel, Hall, Basham, Wallace, Watt, and Reinholz are those players that have moved on with their hockey careers, but aren't the only faces that will be gone from training camp. Matt Meier has moved on to college a year sooner then expected and will play for D1's Air Force Academy. Meier was second on the Tomahawks' roster in scoring last season. Meier appeared in 56 games for Johnstown scoring 43 points (21 goals, 22 assists). The leading scorer for Johnstown last season, Shane Bednard, will also not be in camp with the Tomahawks' as he has made the main camp for the USHL's Bloomington Thunder. Bednard was drafted by the Thunder this offseason (in the first round, ninth overall). Last season in Johnstown, Bednard played all 60 games for the Tomahawks scoring 51 points (19 goals, 32 assists), which also lead the North Division. Another leading scoring for the Tomahawks that won't be in Johnstown this season is Joe Drabin. Like Bednard, Drabin has made the main camp for USHL's Youngstown Phantoms. Drabin played 55 games with Johnstown and 8 games for Youngstown last season. In Youngstown he didn't register any points, and in Johnstown is compiled 26 points (10 goals, 16 assists). The last face that will be missing from Johnstown's camp is former number one Tomahawks' draft pick, Casey Linkenheld. Linkenheld appeared in 21 games for the Tomahawks' scoring 8 points (3 goals, 5 assists), 5 of those points coming in the last seven games of the season with the Tomahawks. With the top six scorers on the Tomahawks' roster from last season no longer with the team, Johnstown looks to fill those spots with new or returning talent. A few names that comes to mind that could fill those top scoring spots are tenders, Zach Zech, Dylan Fouts, Luke Lynch, tryout player, Collin Montgomery (from Wentachee/Topeka), returning players, Alex Jaeckle, Trevor Recktenwald, Tommy Hall, and Tanner Barnes. First year head coach, Mike Letizia is excited to get main camp underway. "These players have been tasked with elevating their games with some of the departures we had from last season, and I think they are primed to step it up. ", Letizia told Thetomablog. Letizia added, "Our tenders and drafts showed us a lot of different things this summer, and I am really looking forward to see how they perform at main camp." Just because he's new in the role of Head Coach, Letizia feels very comfortable running camp as he had many of those same responsibilities when he was an assistant for the last two season under former head coach Jason Spence. "I was heavily involved in the organization of our camps in regards to players and structure, so handling these obligations is not totally new to me. As far as being the head coach for the first time it brings added responsibility that I am looking forward to." said Letizia. Instead of taking direction from the head coach, Letizia will now be able to pick "his" team and implement his philosophies on the players. "Individually, I would like players to be themselves. Every player is different and fits a certain style. I don't want pretenders, or guys who try to be someone they are not because usually that leads to failure." said Letizia.
" As a coach it is my job to help them excel at what they are good at, taking advantage of their assets. Then, I need to teach them to do things that they previously thought they were not capable of, to better round out their overall game. This goes for on the ice, off the ice , and in the community", he added. Main camp will run from July 24th-27th, with a "Red and Blue" game taking place on Sunday at 11 am. Just like at last season's main camp, the All-Star game will be open to the public, and free of charge. "We welcome all of our fans to stop by and see the boys in action." said Tomahawks' GM, Rick Boyd. "(We) hope that a good many of our loyal fans come out and support the new guys as well as welcoming the returning guys back to town." said Boyd. Last year fans did just that filling arena to capacity, showing all the new players exactly what kind of fans they can expect to play in front of all year at the Cambria County War Memorial Arena. After the tryout concludes the players will all return home for the last few weeks of summer before their hockey season begins, when the players that have made the training camp rosters, return to town full time on August 16th. The players will be hard at work on the ice getting ready for their third season in the NAHL and will be out in the community taking part in local events around the area, leading up to the regular season. The Tomahawks will also play a total of three exhibition games. Two of the games will take places in Altoona Pa, at Galactic Ice on August 30th at 7pm and August 31 at 10:30 am. 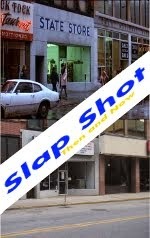 Both games will be against the Springfield Pics, a team they played in exhibition last season. Ticket information for those two games will be made official soon as they are currently being finalized. The Tomahawks will also play one game against the USHL's Youngstown Phantoms, in Youngstown. Exact date and time for that game is currently unknown. After the main camp is over, Letizia will look to put together a roster of about 30 players to take into training camp, which will have to be cut down to 25 players and then 23 players after the NAHL showcase. "The goal is to create a culture where the players are willing to go through a wall for each other and our organization. If we can get this type of environment, it will help our overall success." said Letizia. In two season the Johnstown Tomahawks have an overall record of 55-48-17, and a playoff record of 1-5, all under former coach Jason Spence. 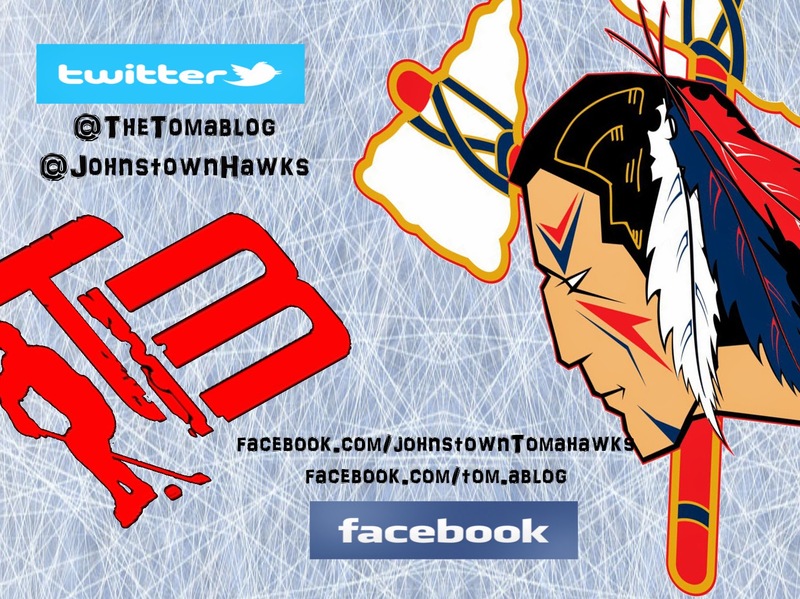 If you don't have season tickets yet for the 2014-2015 season you can contact the Tomahawks' front office at 814-536-4625. Packages start at under $99!